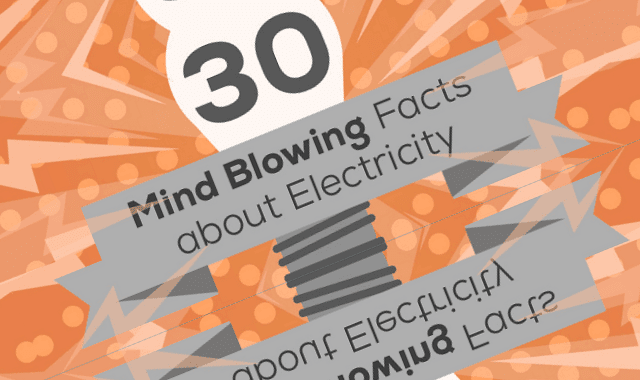 30 Mind Blowing Facts about Electricity #Infographic ~ Visualistan '+g+"
Electricity plays a huge part in our day-to-day lives. From the moment we get up to make our morning tea and toast, right through until the evenings when we turn out the lights for bed. Electricity was first discovered back in the 17th century, and since then, it has paved the way for us to develop great inventions such as the light bulb, x-ray machines and even the internet, but how much do we really know about electricity? Here at GB Energy Supply, we’ve put together a list of the 30 most fascinating facts about electricity, so that you can learn more about this incredible power. For example, the original idea behind the electric chair was actually down to Thomas Edison, who at the time was trying to demonstrate the dangers of alternate currents. So if you want to know more fascinating facts about electricity, look no further than the infographic below.